VIDEO: Time For TeenInfoNet’s Weekly Round-Up For February 8th! 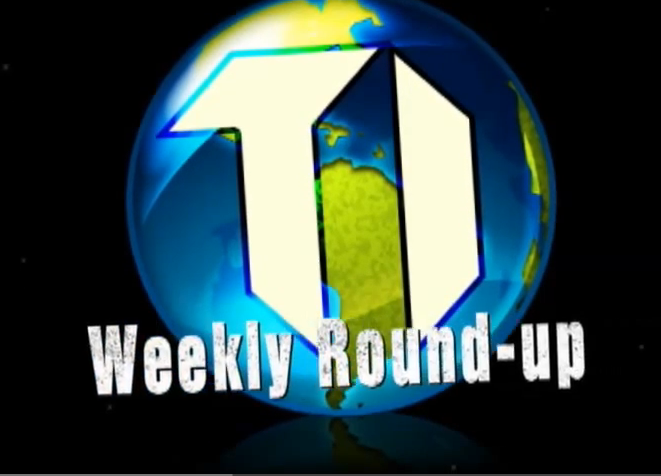 It’s that time again for TI’s Weekly Round-Up where you can get up-to-date on the best of the week! This week, you can find out what new hit singles dropped from Shawn Mendes and Cody Simpson, what Bridgit Mendler’s working on, Bella Thorne’s new movie, an exclusive with Trevor Jackson and more! Check it out in TI’s Weekly Round-Up for February 8th! PHOTOS: Bella Thorne Is Glowing At ELLE’s Annual Women in Television Celebration! Bella Thorne looked absolutely stunning and a radiance glowed off her flawless skin as she attended ELLE’s Annual Women in Television Celebration on Tuesday night (January 13) held at Sunset Tower in West Hollywood, California. The celebration was held in honor of the groundbreaking women in the television industry. Be sure to check out more pics of Bella from the event in the gallery below! Bella Thorne Shimmers In Silver At 2015 Golden Globes After Party! – Pics Here! Bella Thorne Feels The Pressure To Be Perfect — Cosmo Pics + Interview!! Bella Thorne is gorgeous in the February issue of Cosmopolitan Magazine. Check out some pics below from this issue. In the interview Bella dished on the pressure to be perfect as well as her BF Tristan Klier. Do you feel pressure to look and act perfect 24/7? You and boyfriend Tristan Klier have been on and off for three years. What have you learned along the way? Filed Under: Bella Thorne, Celebrity Interviews, Celebrity Photos, Disney Star And Celebrity News Tagged With: Bella Thorne, Cosmopolitan, Disney, Disney Channel, Photos, Shake It Up! Gorgeous Bella Thorne At People’s Choice Awards — Pics Here!! Bella Thorne is gorgeous as always tonight, January 7th, at the 41st Annual People’s Choice Awards. Tonight’s star studded award ceremony is taking place at the Nokia Theater in Los Angeles. Bella’s stylish chic outfit is brought to you by Armani menswear. Be sure to check out photos of Bella at the awards tonight below! Bella Thorne Will Be The Voice Of #AliceInWonderland In New Show At RadioCity!